Our customer is a major integrated pulp & paper manufacturer with operations located in Central Europe, Russia and South Africa, where its roots date back as early as 1967. In paper mills large amounts of strong alkaline pulping solutions are continuously spent and recovered during manufacturing. Efficient operation and consistent quality specifications depend largely on tight control of the mill’s recovery lines and causticizing degree. 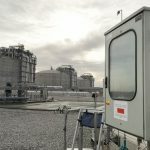 Since on-line monitoring is an important tool in debottlenecking and stabilizing the causticizing process, AppliTek was challenged to find an analytical solution tailed to our customers needs. As a result, a special configuration of AppliTek’s UPA® Universal Process Analyzer procured to simultaneously determine levels of hydroxide, carbonate and sulfide. The process analyzer was equipped with a special valve panel for measuring 4 streams, with settler systems specifically for the slaker and causticizer streams. The implementation of the on-line analyzer system was part of their plans for investment in “green energy projects” at its mill, including a new recovery boiler and improvements in chemical recovery, energy and heat production during the pulp production process. The project was commissioned by the end of 2012. 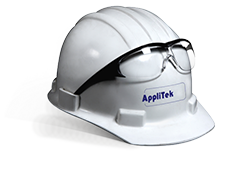 AppliTek’s expert team assisted the start-up of the analytical equipment and training of operators, familiarizing them with the overall system, increasing inside analyzer knowledge and safe operating techniques.